As governors mull clemency, battered women should be at the top of the list. 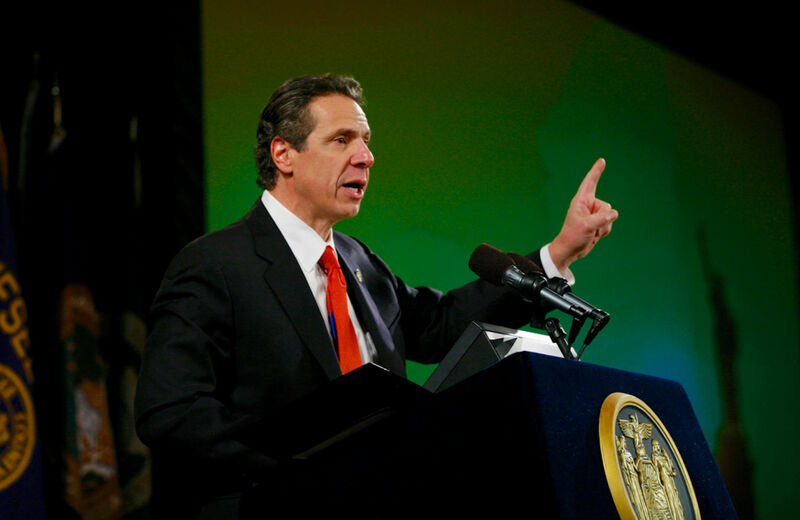 Governor Andrew Cuomo can grant clemency to battered women. Will he? “This will be my grandson’s first Christmas,” said Barbara Sheehan, a 53-year-old from Queens, New York. Her grandson is 10 months old and just learning to stand. But Sheehan won’t be celebrating with him. Instead, she will spend the holiday at Albion Correctional Facility in upstate New York, forty-eight miles from the Canadian border. That is, unless New York State Governor Andrew Cuomo is struck by the holiday spirit and grants her clemency. For twenty-five years, Sheehan was terrorized by her husband, Raymond. The terror included physical beatings and frequent threats to kill her and their two children. In February 2008, when her husband pointed a gun at her, Sheehan shot him first. Acquitted of murder, she was convicted of firearms possession and sentenced to five years in prison. Now she is petitioning for clemency. State governors have the power to grant clemency to people in prison. Clemency can take the form of a pardon, which allows a conviction to be set aside, or a commutation, which allows a person to be considered for parole earlier than the date imposed by their sentence. Christmas is traditionally when governors demonstrate compassion by granting clemency to people whose cases or circumstances they find compelling—and many of the battered women behind bars have compelling cases. Many suffered years of escalating violence at the hands of their loved ones before the moment when it was kill or be killed. Then, they find themselves attacked by a legal system that questions, downplays or outright denies their experiences, the same system that often failed to come to their aid during those years of abuse. For all too many, the end of their partner abuse means the start of a lengthy prison sentence. This year has seen heightened attention to domestic violence, sparked by the leaked video of football player Ray Rice knocking his fiancée, Janay, unconscious in an elevator and leading to reminders of the prevalence of domestic violence throughout the country. The high-profile case of Marissa Alexander, a Florida mother imprisoned for firing a warning shot to stop her husband’s assault, has further illustrated how the legal system continues to abuse women who have survived domestic violence. As the country begins to grapple with just how pervasive domestic abuse remains, and how inadequate the response by those in power, isn’t it time that governors show their compassion by granting clemency to battered women behind bars? There is a history, if relatively brief and fragmented, of governors showing compassion to imprisoned domestic violence survivors. In the 1990s, thirty-four abuse survivors in California petitioned then-governor Pete Wilson for clemency. Wilson only granted clemency to three, but outside advocates organized to push for the release of other survivors through petitions for clemency, habeas corpus and parole changes. Since then, approximately fifty other women have gained their freedom through their efforts. More recently, between 1999 and 2010, Missouri governors granted clemency to eleven incarcerated survivors. These clemencies came after years of organizing by the Missouri Battered Women’s Clemency Coalition, made up of domestic violence advocates, law students, law professors, and childhood friends of incarcerated survivors. These efforts included passing a law in 2007 that enables women convicted of murdering their spouses to apply for parole if they had served at least fifteen years in prison, had no prior felonies and had histories of “substantial physical abuse or sexual domestic violence.” That statute allowed 55-year-old Vicky Williams, 65-year-old Roberta Carlene Borden and 57-year-old Ruby Jamerson to be paroled in 2010. In the most dramatic instances, governors have granted clemency to a relatively large number of battered women at once. In 1990, Ohio governor Richard Celeste granted clemency to twenty-five battered women behind bars in one fell swoop. In 1991, Maryland Governor William Schaefer granted clemency to eight. Why, then, are other governors unwilling to follow suit? One reason may be governors’ reluctance to be seen as “soft on crime” coupled with the continued lack of understanding around domestic violence, self-defense and incarceration. No agency keeps track of how many survivors are imprisoned for abuse-related crimes, whether they acted in self-defense or were coerced into illegal activity by an abusive partner. In 1999, the US Department of Justice found that over half of women in local jails and state prisons have experienced abuse before their arrests. That was the last nationwide survey released by a governmental agency. They met again a few years later at a wake for a mutual friend and began dating. They married two years later, in 1983. Raymond Sheehan became a sergeant with the New York Police Department, a position that he used to terrorize his wife for the next twenty-five years. Their now-adult daughter, Jennifer Joyce, remembers a childhood marked by her father’s violence. When she was 10, she walked into the living room to find him holding her mother, face-down, on the floor. She often saw him punch her mother or hit her in the face while he was driving. “I remember the car swerving while he was hitting her,” she described. But no one dared call the police. “He’d say, ‘You can’t call the police. I am the police.’ He would remind us of this all the time,” she explained. Even after Raymond Sheehan retired from the police force in 2002, he carried two guns with him at all times. “He would continually tell me that he knew how to do the perfect crime, that he could make it look like an accident or he’d make me disappear. Because he had worked for the crime scene unit, he knew what they looked for. I knew he could do it, too,” Sheehan recounted. In 2007, while vacationing in Jamaica, Raymond Sheehan beat his wife so badly that she had to go to the hospital for stitches. “We had to wrap towels around my head because there was blood everywhere,” Sheehan recalled. That was when she realized that, if she didn’t leave, he would kill her. On February 18, 2008, when her husband pointed his gun at her, she has said knew that time had come: he was going to kill her. Sheehan ran into their bedroom and shot him with the gun he kept there. He fell, dropping his gun. When she saw him reaching for the gun he had dropped, she picked it up and shot him again. She was arrested and charged with second-degree murder and criminal possession of a firearm. In 2011, Sheehan was acquitted of murder and the use of one gun. She was convicted of using the second gun and sentenced to five years in prison. Both Sheehan and her daughter hope that Cuomo will grant her clemency, allowing her to reunite with her children—and Sheehan’s first grandson—sooner. Sheehan is not the only domestic violence survivor hoping for clemency this year, in New York State and elsewhere. At least three other incarcerated survivors in New York have submitted petitions for clemency. In Missouri, inspired by the Missouri Battered Women’s Clemency Coalition, domestic violence advocates, law professors, attorneys, law students, and past and present lawmakers formed the Community Coalition for Clemency to fight for clemency for fourteen other incarcerated survivors. Nearly all of the women have spent at least a decade in prison. Three are in their fifties, four in their sixties, and Verdia Miller, who has spent thirty years in prison and is not eligible for parole for another eighteen, is 72. Since taking office, Cuomo has granted pardons to three men who had already finished their prison sentences. He has yet to grant clemency to anyone currently in prison. In contrast, his father Mario Cuomo granted thirty-seven clemencies. Republican George Pataki granted thirty-two, David Patterson granted thirty-eight and Spitzer, before unceremoniously leaving office, granted one. Of these, only two have ever gone to battered women imprisoned for self-defense—Charlene Brundidge in 1996 and Linda White in 2002. New York governor Andrew Cuomo has branded himself as pro-woman, introducing a Women’s Equality Act, which ostensibly strengthens protections against domestic violence. He even started a Women’s Equality Party so that women “can make their voice heard,” he said this fall. But if Cuomo really wants to prove that he is pro-woman, and lead the way for other governors, he could do so by granting clemency to Barbara Sheehan and other battered women, allowing them to spend the holiday season with their families.